Davina Claire is coming back to The Originals – for one episode, at least. Danielle Campbell will reprise her role as Davina, now wife of Kol Mikaelson (Nathaniel Buzolic), to help out Klaus (Joseph Morgan) in a time of need. If you missed it, Nate actually previewed what happened with Davina and Kol over that time jump in between seasons four and five. So, we don’t have a new episode of The Originals tonight, which is unfortunate. But, we do have a little more detail about what’s ahead in the final episodes – especially concerning Hope and Klaus. 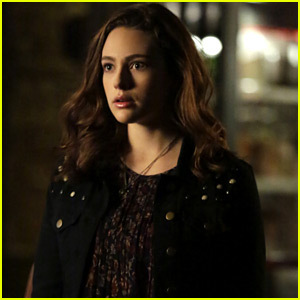 Danielle Rose Russell opened up in a new interview about how Hope’s life and relationship with Klaus is going to change for the remainder of the season. The Originals returns next Wednesday on The CW. 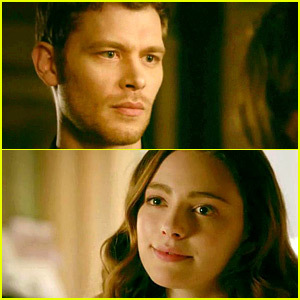 Danielle Rose Russell‘s Hope is blaming Elijah for her mom’s death on The Originals in tonight’s episode. And Elijah is in direct view of those explosive ways. She also opened up about how heavy her scene with Daniel Gillies, truly is. The Originals airs TONIGHT, June 20th @ 9PM ET/PT on The CW. 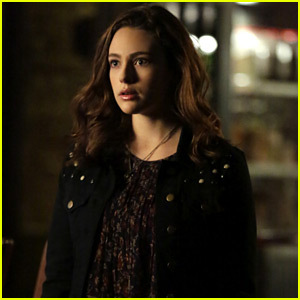 Fans are still trying to deal with Hayley’s death on The Originals, when showrunner Julie Plec dropped another big bombshell on us all – there are more deaths coming. Just after this week’s episode, which featured a lot of good flashbacks with Hayley, she revealed that there are more waiting for us in the back half of the season. Sorry, not ready for this. The Originals is back next week with another new episode on The CW. After tonight, there are five episodes of #TheOriginals left before the end of it's run. There are about as many significant deaths coming. I know you're mourning, and it's going to be hard, but there is some real beauty, love and peace to come too. Buckle up. Candice King has opened up about what fans can expect from the Klaroline pairing in the final episodes of The Originals. While fans already know that the ending scene features Klaus and Caroline in New Orleans, the 31-year-old actress dished a bit more. But will fans love their ending? 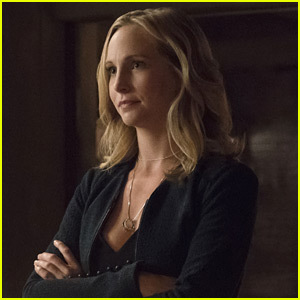 “I don’t know if everyone will be satisfied, but I think the majority will be pretty happy with the series finale,” Candice teases. While were not looking forward to the actual end of the series, we are looking forward to seeing what happens with this couple. You might be a huge Klaroline shipper and love Haylijah to pieces, but you still have to stop and admit that Klaus’ relationship with Hayley on The Originals had turned into one of the sweetest on television. 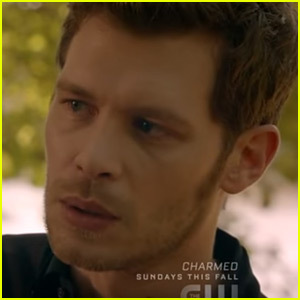 During the series last night, after fighting with Hope, Klaus headed to the bayou to carve Hayley’s name into THE tree and while there, gave us all the feels to the point of us crying our eyes out over it.